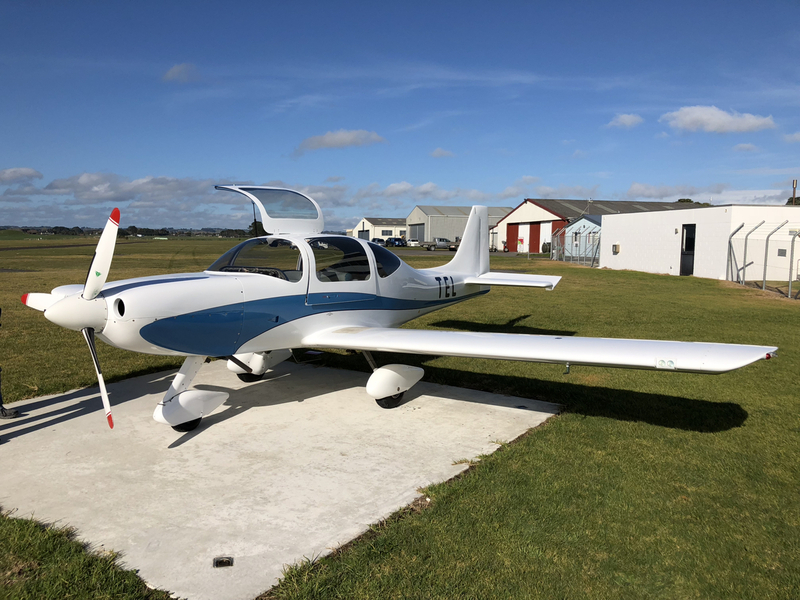 My father Francis recently purchased KIS Super Cruiser, ZK-TEL, here in New Zealand. The aircraft, built and first flown in 1999, has done 1,005 hours to date from new. The aircraft is still in great condition, being well maintained and always hangared. My father and I both have PPLs and have logged a few hours now as we get used to this fabulous aircraft - it flies great!! I've posted a couple pictures of the aircraft, and will look to set up a blog online with a few more photos and potential upgrades for those interested as the airplane approaches its 20th year. As I understand it, and feel free to correct me if I am wrong, this may be the only flying example with the Continental IO-360-ES and constant speed MT prop. The aircraft is a little heavy compared to those with the lycoming 180hp, with the empty weight being 1,553 lbs and a little nose heavy. Will likely look to replace the battery with a EarthX soon to take 20lbs of the nose. The aircraft was tested and has a listed MAUW of 2,500lb so plenty of useful load. Look forward to sharing some flight trips for those who are still building as eoncouragement! Welcome to the KIS "club". You will find lots of good information about the entire KIS line as well as some of the best "customer support" right here. FWIW, I also have a KIS Cruiser but with the Lycoming 180HP and even that was nose heavy with the Sensenich aluminum propeller. I changed to a CATTO composite propeller and it made a huge difference. We have a web page (www.puertoricoflyer.com) where we post travel and maintenance information as best we can. Bob Reed also has a good web page (http://www.kisbuild.onfinal18.com/) which has more builder's information on it. Enjoy your Cruiser and I look forward to reading about it.